It’s 2018, and trust if the name of the game. Transparency is key for any business owner, and it’s all thanks to our world wide web. Shoppers are now more than just that; they’re also researchers. They have a practically infinite number of comments, opinions, and feedback at their fingertips online. They can learn an immense amount about a business without ever having to walk through the door just by seeing what others say and feel about it. Do you currently have any online reviews? And if so, are they good? Hopefully so, because people are using them to gauge whether they want to shop with you. Places like Google Reviews, Facebook , and Yelp, and some of the most popular places a potential customer will go to feel you out. On average, a one-star increase on Yelp leads to 5-9% increases in a business’s revenue. One bad review could cost you as many as thirty customers!! First, you need to make sure your business is set up to receive reviews. Make sure you are set up on Google My Business. You can also create profiles on Yelp, Angines list, Yahoo Local, and many other sites. Also ensure that your Facebook page is set up to receive reviews. To do that, follow the steps in this article. Invite Customers to give feedback, and do so quickly after they purchase from you. This may seem overly simplistic, but often times all you have to do is ask. Let them know you care about their experience and what they think. Send a personalized email or call them directly and ask for their feedback. Guide your users and give them options. Some reviewers may not have a google account, while others may not want to sign up for yelp. When you ask for reviews, be sure to let your customers know all the places they can provide feedback. Give them links to Google, yahoo local, yelp, tripadviser, and so on so they know a review on any of these sites is possible. The easier you make it for them, the more likely they are to leave a review. Promote the good reviews you already have. By showing other customers what people have said about you in the past, they will feel inclined to also provide their feedback. Go offline. On some occasions, it’s better to follow up with the customer personally, and not in the group reviews board. Shoot them an email or give them a call to politely discuss the issue at hand. Provide special offers. If a customer had a poor experience, providing them reimbursement and an additional offer may encourage them to remove their negative review. If the review you received was fallacious and/or defamatory, it’s possible you can request the actual review site to remove it. Different sites have different policies concerning what customer reviews they will remove. 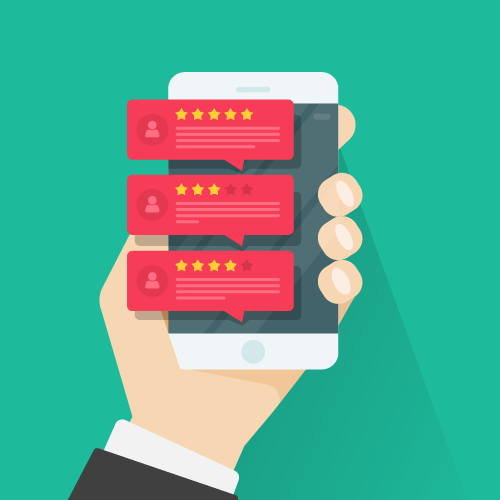 Hopefully this post shed some light on how to get more customer reviews, and most importantly, showed just how vital they are in today’s online-obsessed world. To learn more about the newest Customer Reviews feature for RM E-commerce users, reach out to our team.